Fair Autumn Greetings from Twin Eagles Wilderness School! The fall rains are back, and winter is on its way. This past month has seen unprecedented growth here at Twin Eagles, including hosting our first annual weeklong Art of Mentoring workshop with over 90 people attending from eight distinct communities throughout the Inland Northwest and beyond! The AoM was a significant step forward for both Twin Eagles as well as the greater deep nature connection mentoring movement in the Inland Northwest. 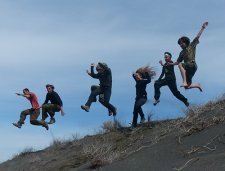 We've also successfully launched the Twin Eagles Wilderness Immersion Program which has already been an amazing adventure for everyone involved - more details below. 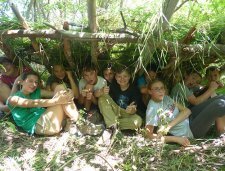 There is still room in our year long deep nature connection program for youth, and our eighth annual Fall Harvest celebration will be here soon. We hope you find something of interest in this month's eNewsletter. 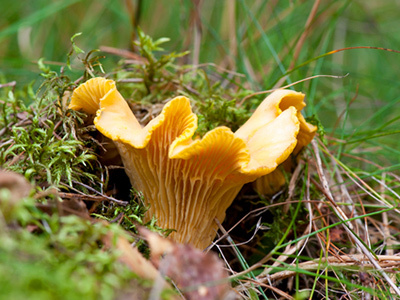 Feature Article: Identifying Wild Mushrooms! Identifying wild mushrooms is an amazing and practical skill set. Learn how to identify edible mushrooms, the benefits of befriending wild mushrooms, get resources for edible mushroom identification, and more. These amazing delicacies will rock your world! Eighth annual Fall Harvest celebration! Special Community Event for the whole family! 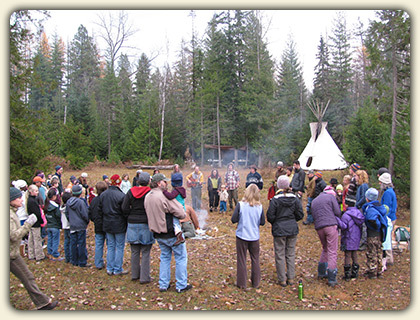 Please join us as we "gather the tribe" to celebrate the fall season, deep nature connection, family, and community! This day will be a celebration full of fun activities for everyone. We'll have songs, storytelling, games, ceremony and FOOD! We'll be focusing on various traditional primitive cooking methods for you to sample and savor! All activities are optional, and we'll keep a warm fire burning in the tipi throughout the day for you to kick back and relax. Please be sure to contact us to let us know you're coming, and how many are in your group, so that we can prepare adequately for the big day. Thanks! Volunteers are needed to help with a variety of projects so please contact us if you would like to help out in some way before or on the day of the event. We would really appreciate the support - thank you! As always, we encourage carpooling to this event. Hope to see you there! The Twin Eagles Wilderness Immersion Program has begun! And boy has it started with a bang. The year began with an incredible opening overnight intensive that gave participants a felt sense of the year to come, highlighted by an incredible inner tracking experience led by Barry Moses. In all my years of facilitating depth mentoring, I've truly never seen a group go to such a deep place in such a unified manner as this group has gone. It laid a rock solid foundation for what has already become an unprecedented year together. Since then participants have also experienced deep nature awareness, primitive firemaking, a weeklong intergenerational nature based village re-creation called the Art of Mentoring, edible & medicinal plant preparations, bird language, and more. We're currently in the midst of building our own 30' yurt natural classroom as part of our natural building curriculum - all in the first month. The transformation has begun. If you're considering joining, we encourage you to come out for a visit and try a day for free - its on us. 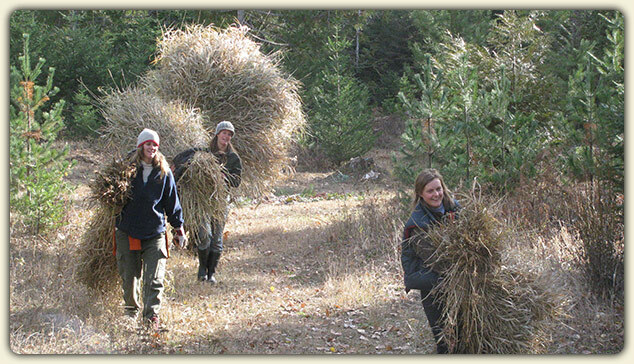 Lots of info about the Twin Eagles Wilderness Immersion Program is available online here. Also, keep an eye on our Facebook page for updated pictures.